Former New Zealand skipper Daniel Vettori has stepped down as the coach of Big Bash League (BBL) team Brisbane Heat.The 40-year-old, who was associated with Brisbane Heat right from its inception had informed the team management about his decision to quit earlier this season. 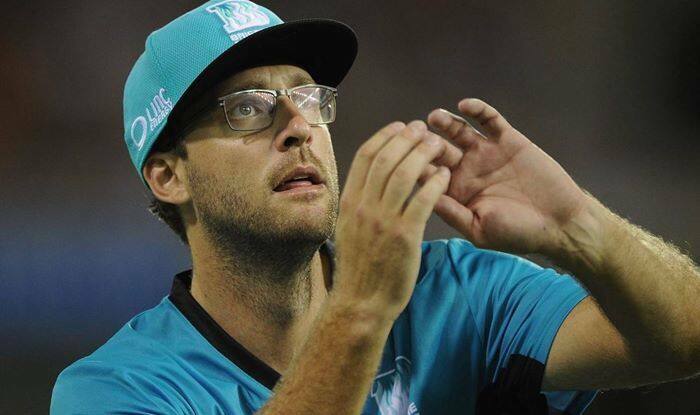 Former New Zealand skipper Daniel Vettori has stepped down as the coach of Big Bash League (BBL) team Brisbane Heat.The 40-year-old, who was associated with Brisbane Heat right from its inception had informed the team management about his decision to quit earlier this season. Vettori is the second cricketer from New Zealand to break links with Brisbane Heat. Earlier, it was former Black Caps opener Brendon Mccullum who had announced his retirement from the team. Brisbane Heat general manager Andrew McShea thanked Vittori for his services and termed his departure as “an end of an era” for the team. He further stated that they will take this development as an opportunity to review team’s planning and structures.“The Heat have been very grateful to Dan for his involvement, as a player from BBL|01, and then as our coach for the past four seasons. It’s an end of an era for the Heat with both Brendon McCullum and now Dan leaving our club and we can only express our deepest gratitude to both men for their passion and dedication to the Heat during their time with us,” ESPN Cricinfo quoted McShea, as saying. “We will take this opportunity to review our planning and our structures and look to make a fresh start in BBL09,” he added.Under Vittori’s guidance, Brisbane Heat had reached the semi-final stage of the 2016-17 BBL season.